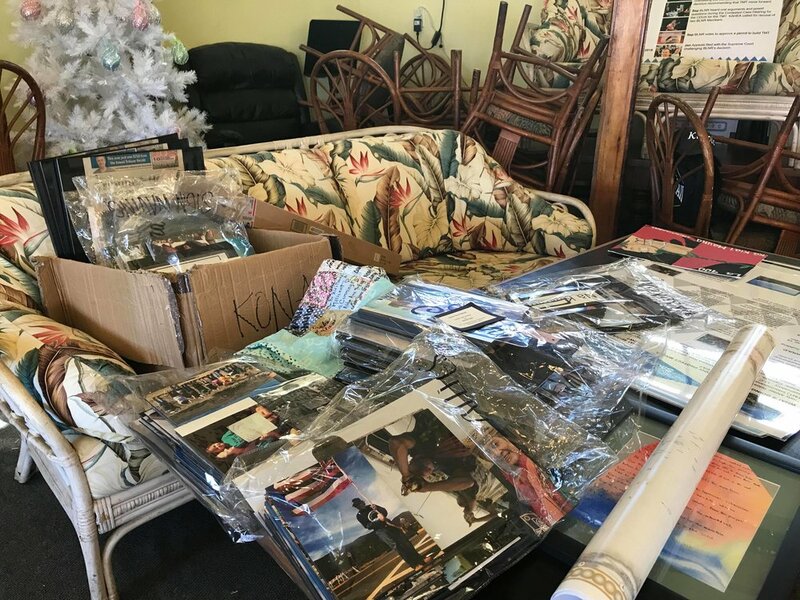 Aloha Kakou, Kūkulu is excited to announce that the Kūkulu Art Exhibition, A HeArt Filled Tribute to the Pillars of Mauna a Wākea (formerly located at the Hawaiian Cultural Center of Hāmākua) is accepting art pieces of all genres from kiaʻi and Mauna Kea ʻohana and supporters of Kona and Kā'ū. If you reside in these two districts and have pieces to share, please fill out the form and submit as instructed. The opening of Kūkulu o Kona me Kāʻū will open at One Aloha Shave Ice on March 23, 2019. Malana mai Kāʻū, Hele mai Kona! Eō! Please share with all from these districts. Mahalo. 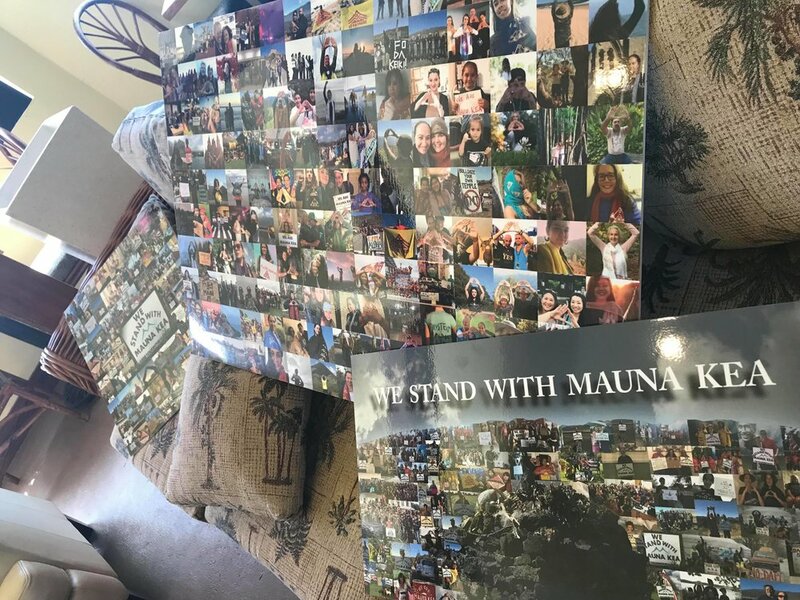 Kūkulu; The Pillars of Mauna ā Wākea is a traveling exhibition featuring Art, Merchandise, Music and Messages of the Mauna Kea Movement. Kūkulu serves as an platform to teach, to share and to inspire the community to stand as pillars for this sacred mountain through visual arts, workshops, presentations, events, and gatherings. MKEA has committed to a community vision of creating an unique, interactive, traveling art exhibit Kūkulu; to be a pillar to set the tone and the vibration that is encompassed in the Hawaiian values, and the ʻIke Kupuna or ancestral teachings, that will inspire while educate. Programs offered feature talk story sessions and presentations with cultural practitioners, kiaʻi or water protectors, educators and community members sharing experiences with Native Hawaiians, local communities, residents and visitors alike. The vision and design of the space is modeled after the slopes of Mauna Kea where the stance to protect the sacred mountain took place. The space serves as a puʻu honua, a sanctuary, a hālau, training center, a kauhale, a gathering place The piko or foundational center of the exhibit space includes an ahu or traditional altar and actual art pieces owned and utilized by the kiaʻi or protectors. All art pieces have been carefully selected as each piece embodies the best and the highest values, skills and efforts of the Mauna Kea Movement. Each step of creating the exhibit was executed with appropriate prayers, chants, offerings and protocols. 1) educating and inspiring the community through workshops, presentations, events, gatherings, 2) serving as a template for interactive exhibits focused on the community and the arts, 3) embodying the spiritual and cultural pillar for the implementation of protocol and conduct as witnessed on the mountain through a re-creation of the movement in exhibit form. The exhibit opened on March 10, 2018 at the Hawaiian Cultural Center of Hamakua, on Hawaii Island with ceremony, music and mauna messages and ALOHA. The formal exhibit was taken down on December 2nd and with the plan to open on March 23rd at One Aloha Shave Ice in Kailua Kona to feature the districts of Kona and Kāʻū. The exhibit will be curated by Mauna Kea Protectors of that area. The exhibit will be offered to Hilo District thereafter with an additional goal of the exhibit traveling to Oʻahu in 2020. This traveling art exhibition is co-sponsored by the Hawaiian Cultural Center of Hāmākua https://www.facebook.com/HCCOH, www.hawaiianculturalcenterofhamakua.org and KAHEA: The Hawaiian-Environmental Alliance, http://www.kahea.org/ and the Social Science and Humanities Research Council (SSHRC) Insight Grant awarded to PI Richmond from Western University in London, Ontario, Canada. Our first community workday held on Lā 1000 at the Hawaiian Cultural Center of Hāmākua. The vision for Kūkulu o Kona me Kāʻū begins at the One Aloha Shave Ice. Please join us for the opening of this tribute to Mauna Kea on March 23rd at 10 am. for a day of music, and Mauna art.